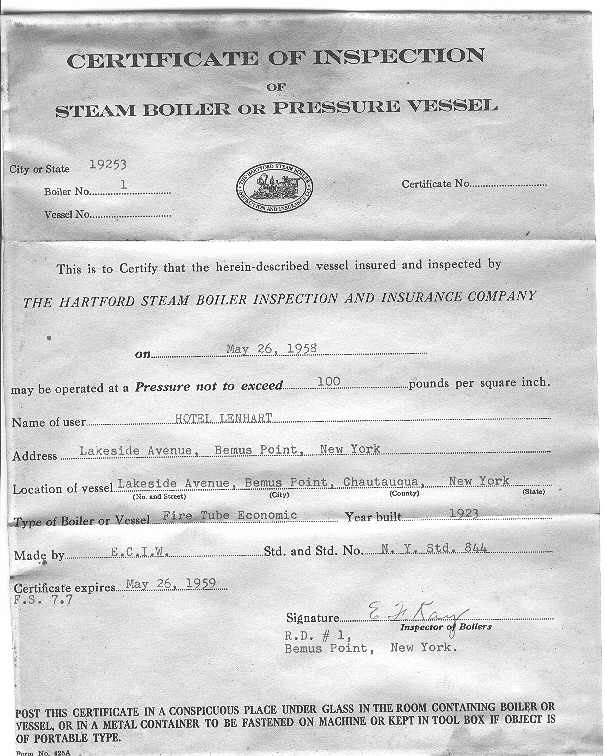 This is last certificate of inspection of the steam boiler operated at the Hotel Lenhart. The boiler was used to create steam which operated the water pump, cooking stoves, hot water, etc. The boiler still sits in our Laundry and Maintenance building. Our engineer was Ward Cheney. 1958 was the last year of operation for the boiler.